BAseball Reality Tour: Where Have We Been? - Felix Pie being the worst hitter in a long time to hit for the cycle. - Cycles becoming more common than no-hitters. - My growing hatred for loving the Cubs. - Prospect spotlights on recent call ups Buster Posey, Cameron Maybin, and Michael Brantley. - My shock & appreciation for what Neftali Feliz is doing. We may be able to address some or all of these ideas in future posts. For now, let's take a look at our updated power rankings, season awards, and postseason outlook. - Joe sums up the '09 Royals pretty marvelously here. - The Nationals climbed out of last place in our rankings by taking two of three at Wrigley Field last week. The Cubs should probably be down around here, too, considering the Nats followed their Chicago trip by losing seven in a row. - Much like the Royals, the Pirates have a process. Some of their recent moves have been peculiar, but they haven't been the outright punchlines that the Royals have been delivering. - Segueing towards another team that has had punchline after punchline, the Mets have been an embarrassment to their fans, employees, and all of our past season projections where we thought they would figure it out and make the playoffs. - There's not much to say about the A's this year. They banked a little too much on young pitchers and aging hitters. Neither group established themselves, but we can see some glory days ahead for guys like Brett Anderson, Trevor Cahill, and Andrew Bailey. - With AL Central parity being what it is, the Indians can have a miserable year like they did this season and still compete with a one or two year turnaround plan. They have some young pieces on both sides of the ball, and with better luck we expect them to compete next summer. - Dusty Baker's managerial career has been a clashing example of "strikes & gutters". In his first season as a manager, his Giants went 103-59. From 1997 through 2004, his Giants and Cubs teams averaged 90.5 wins. Since then, he's become a 70-win manager who continuously says things that make him the laughing stock of sabermetric circles. It'll be tough for him, or anyone else to top his "clogging up the bases isn't that great to me" line. - The Pads didn't compete this year, so it's almost sad that we consider seven teams to be in worse shape than them. They do still have an entering-his-prime Adrian Gonzalez, Heath Bell, and some young pieces like Kyle Blanks, Everth Cabrera, and Mat Latos. A big plus was finding a team to take Jake Peavy's damaged goods off their hands, in exchange for some actually good young players. - Let's say the D'backs are the NL's version of the Cleveland Indians. They have some pieces, suffered pretty debilitating injuries, and are in a relatively winnable division. - At the sake of sounding redundant, we've made it clear that we love the young Orioles. If they were in any other division, we'd expect them to compete in 2010. Valuable young pieces that any team would want include: Nick Markakis, Adam Jones, Matt Wieters, Chris Tillman, Brian Matusz, and Jake Arrieta. Since, they're in the AL East, they would need about six or seven guys to have a career year. That's more likely to happen in 2011 or '12. - The Astros competed a bit longer than anyone not named Drayton McLain expected. They have an undesirable mix of expensive and aging players. They need to find more inexpensive, young, and talented players to lead them in the next decade. Hopefully, guys like Oswalt, Berkman, and maybe even Carlos Lee can still contribute when the Astros are relevant again. Heck, it could/should be next season. It'll be an action packed offseason for the Astros. They'll probably get a new manager and should look to trade Lee. - A couple of months ago, when we did our first power rankings, brilliant reader Osh chimed in to castigate us for having the Cubs ranked so much ahead of the Astros. 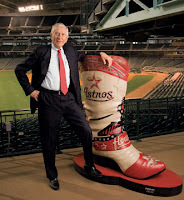 It turns out he was right, but not because the Astros were any better than we thought. Sadly, it's because the Cubs are awful. I like Jim Hendry, but I cannot understand the moves to bring in Milton Bradley, Kevin Gregg, and Aaron Miles, while letting Kerry Wood, Mark DeRosa, and Henry Blanco walk. - The Blue Jays suffer from the same affliction as the Orioles and Rays, but they have a solid base with which to compete. They have an abundance of young starting pitchers, a young stud in Adam Lind, and the payroll potential to have a solid team every season. - Rob Neyer had a recent post wondering why the Brewers are drawing so well at the gate, when they aren't actually contenders. In our honest opinions, they are a young team, with some good infield bats, and a #1 starter in Yovani Gallardo. We're in the camp that they should trade Prince Fielder for a package of young players that will make them competitive for the next four of five seasons. Look for J.J. Hardy to get moved this offseason, as well. - I don't like to make fun of Kenny Williams. I like Kenny Williams, and I love his moxie. He will make the move he wants to make, without worrying about what others think. I don't think Jake Peavy or Alex Rios were wise investments, but the White Sox weren't going to win with what they had. It'll be interesting to see what they do with Jermaine Dye this winter, and if they choose to capitalize on whatever value they can get for Bobby Jenks. - Every day, it seems like the Twins are either falling out of the race or getting back into it. That should be a theme to their clubs for the next few seasons. In the long term, there are two stories... how's the new stadium going to be? And, can they keep Joe Mauer? - Bobby Cox continues to make his case for Cooperstown by having teams that are always competitive. Braves fans should be thrilled to see the progression of Tommy Hanson. He has been the most promising looking rookie pitcher this season. - The Mariners have followed the Rays revolution to capitalize on the undervalued ability to play good defense. This should be the next Moneyball-esque arbitrage the league sees throughout the next couple of years. When Billy Beane was building competitive, underpaid teams during the Moneyball era, they capitalized on the fact that few teams valued On-Base Percentage enough. Of course, that has changed as now very few teams are being run with Dusty Baker's mindset of Batting Average and RBI's. So, up and coming teams need to look for the next undervalued talent. Two years ago, the Rays improved drastically by getting better defensively. This past year, we've seen teams like Seattle and Texas improve for the same reason. We think this offseason, we will see teams like Seattle, Texas, Tampa Bay, Oakland, Boston, and the Yankees. drive up the price of elite defenders in a way we haven't seen before. 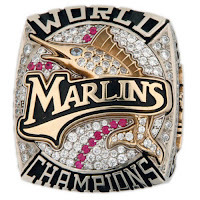 - The Marlins are still in it and have proven once again that there is a lot to be said for having three to four year cycle plans, if you're a low budget team. Their process is to build a great team, win the World Series, trade everyone for more prospects and compete again in four years. At least they can give their fans something to root for every few years. Is it better to struggle as an 80-win team every year, than to go from 60 wins to 90 wins every few years? I don't think so. - At the beginning of the year, we expected to Giants to lose a lot of low scoring games. On the contrary, they've been right there all season. Tim Lincecum and Matt Cain give them the 1-2 punch that can take a team to a World Series. If they squeak into the playoffs, I wouldn't be surprised to see them go all the way. - The Rockies stand in the Giants' way, as Wild Card contenders. I think this race will go to the last week of the year, but I have the Rockies here because they seem a little more balanced. While the Giants have the better pitching, I think Ubaldo, Troy, and the rest of the guys are going to pull it off. - Is it possible that Rays fans were spoiled last year? They should be ecstatic with the way this season's team has competed, but alas coming in 3rd place isn't fun for anybody. - Maybe the most surprising team this season has been the Rangers. Again, they've improved their defense drastically by moving Michael Young to 3rd base and advancing Elvis Andrus a season before anyone expected. Their pitching has been steady and dynamic, and we see the future to be even brighter for Nolan's gang in the next decade. Keep an eye out for Justin Smoak, Derek Holland, and the aforementioned Neftali Felix to really shine next season. - This season is starting to look a lot like 2006. And, that's a good thing for the Tigers. - The Cardinals have built an organization that plays games the right way, finds the best roles for their players, and rewards their fanbase with a competitive team year after year. It helps that the fans are so nice to new players that guys like Matt Holliday fall in love with the place and want to give them a hometown discount to return. Unless Scott Boras' commission is more important that Matt Holliday's success, he should resign with St. Louis and continue to reap the rewards of batting adjacent to Mr. Albert Pujols. - The defending champs are in the process of fine tuning themselves into playoff shape. Cole Hamels and Cliff Lee give them a 1-2 punch to survive, and the key will be the bats. Will J-Ro get hot and stay hot in October? They'll need him. And, is Chase Utley playing hurt? Will he be able to drag his bad hip around at such a high level as he did last Fall? They'll need him to do that again, and it looks like he could realy use an extended rest. A key to their season will be the impact that Brett Myers has on the bullpen. 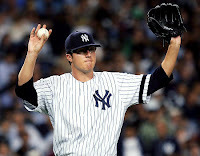 I think if he can show some level of success and the ability to pitch on consecutive days, they'll make him the closer. - Joe Torre has been on cruise control seemingly since April 15th. In spite of the disappearance of Rafael Furcal, this team is talented enough to make the playoffs with Joe Nedney managing them. Their keys to a title rest on the shoulders of Chad Billingsley and Clayton Kershaw. - Mike Scoscia's club is doing things differently. They play NL baseball in the AL. They have a lot of free swinging guys, who are changing their ways with help of Bobby Abreu's leadership. The success is unmistakable, and for this inexperienced blogger, their success is admittedly somewhat inexplicable. - While everyone was jumping off the Red Sox bandwagon the last seven or eight weeks, I've been getting comfortable by laying down in my own row. This is a long season, and teams will struggle. The Yankees looked lost in April & May, and just because the Red Sox have lost some steam in the second half of the season doesn't mean they won't win "the tournament" in October. - The Red Sox and Yankees are the top two teams in our rankings because - of course their offenses, but more than that - we believe in the power of the nasty boys. Ever since Lou Piniella unleashed Norm Charlton, Rob Dibble, and Randy Myers on the world in 1990 we've been big believers in the power of shortening a game. If you have three shutdown relievers, then you can basically win a game if you have the lead through six innings. We've seen this formula work for the Reds, Yankees, Angels and others throughout the past couple of decades. It's probable that the postseason will come down to who's hitting, and who gets the best starting pitching. That is common. But, here is a vote for the ALCS being decided by the battle between the bullpens of the Red Sox (Ramon Ramirez, Manny Delcarmen, Hideki Okajima, Daniel Bard, Billy Wagner, and Jonathan Papelbon) and the Yankees (Hughes, Joba?, Rivera). As usual, please refer to our preseason predictions for our "on the record" picks. These monthly columns are a way of experimenting with what we see and what we feel each month as the season goes on. * Imagine is somehow Pujols, Wainright (or Carpenter), Rasmus, and LaRussa swept all four of these awards for St. Louis. These are the kinds of possibilities that make Cubs fans like me sick.